The beginning of her life was a muddied blur, she doesn't remember her birth mother and she has reason to believe she has never saw any one of her parents, and that is because she was abandoned as a pup. Her mother is thought to have died because of birth complications, though it is unknown. All that is known for sure, is that Polar was found with her fur still sleek from recent birth, her eyes clamped shut, her ears sealed, and her tiny jaws opening as she tried to find someone who would care for her. The one who had first spotted her huddled heap, was a russet fae who was the alpha female of a near by pack. The femme was called Hazel and she couldn't have pups of her own, so it worked out perfectly. The small Polar was taken in by Hazel and she also gained a new father, Castle. She was quickly being fed by another fae who had given birth recently though Polar never thought of that fae as her mother, just a nanny. 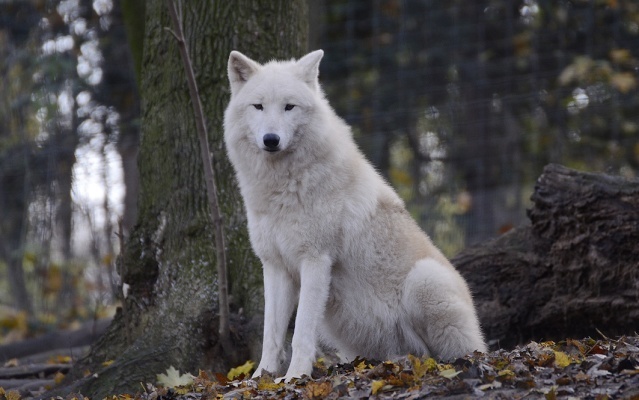 Only on the first day was she named, the pack called her ‘Polar,` that being the species she is and because of her snow white coat. Castle and Hazel were her new parents, and she soon became spoiled being the child of the alphas. 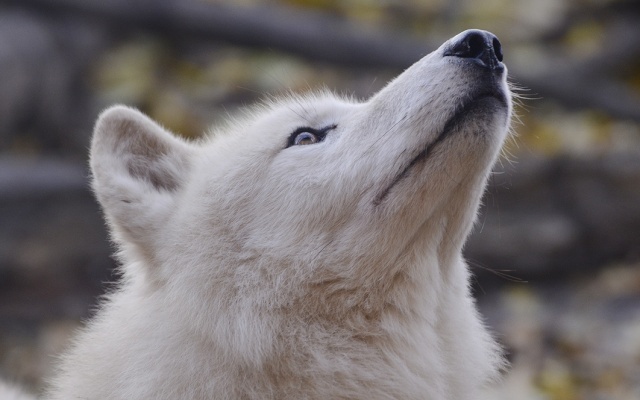 Though not too, she was taught the ways of the pack and respect became a custom to her. She soon found herself enjoying life, she had friends despite her shyness and others often would consider her bright and intelligent, which gained her confidence at life. 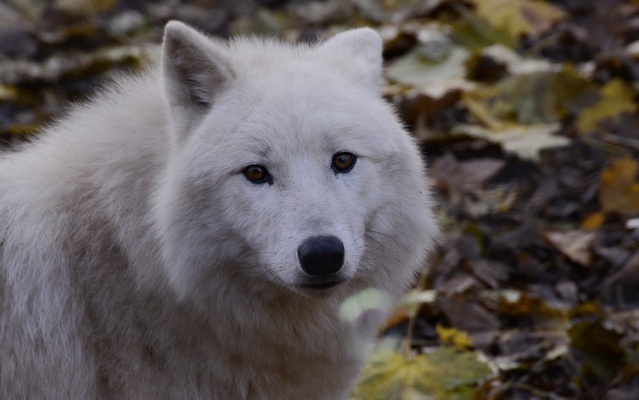 As she grew older, she slowly was allowed to wander away from the den site with the other aging pups, it was then she gained her energetic side. She would often beg others to play with her, whether it be tag or hide n' seek, it didn't matter to her, she just wanted to do something. She grew a skill in agility, often winning both long distance races and short races that required speed to win, she enjoyed racing and was thrilled to find she was great at it. As she aged, Hazel started to notice her small size and she began to worry. Could such a small canine survive? Yes, she knew Polar could survive but that wasn't what really worried her. Others, too, had noticed her height and Hazel was afraid Polar may start receiving put downs from the others. At the time her size was decided to be ignored and yes, once in a while she would receive a doubtful look from another, one that was disapproving in her state, though she tried not to let it bother her, and it usually didn't. As the young canines life wore on, her energy never doubted her, if anything it sparked. She constantly wanted to run, unfortunetly, her territopry was not large enough to do so, or at leasst for her. She wanted to run long distances, have an adventure...and one day, she dreamed of life outside of her small territory. This dream only grew stronger as she did, her parents fretted over this but, when the time came for Polar to finally make the decision and disperse from the pack, they supported her fully. So at the beginning of adult hood, spirited Polar left her home in search of a journey, she wasn't sure what she was after, but she would find out soon. Only months from leaving her home, Polar found something, no, not something but someone. The brute called himself Ghost, he had a silver hued pelt with streaks and sorrels of blacks, it was an almost love at first sight type thing. They became mates almost immediately, and soon after, Polar found her stomach round, her movements sluggish, and she would feel movement in her body. Yes, Polar was expecting a pup. Soul and Polar alike were both ecstatic, they planned out a name for the pup, if it was a male then his name would be Alaska and if female, Spirit. They had their lives set out, the pup would be born any day now and life couldn't get better. Polar soon learned that it could indeed get worse, however. The day the pup came, something was wrong. The day wasn't perfect like it was supposed to be, a storm was raging, lightning flashing, thunder roaring. The whole earth seemed to quake under their very paws. It was a surprise at first how early the pup came, Polar and Soul were not prepared for him or her to come at a day like this. Soul raced away, needing some herbs and water for his beloved and the soon to becoming pup. However, Polar never saw his living body after he left...She awaitied hours for Soul's return, but she was left dissapointed. For another agonizing hour her pup came, until finally a new life was born into the world...But the femmes heart shattered at the sight of her pup, no, it wasn't a living pup. The pup had died before birth, not even able to take a single breath of air before it passed. As you can imagine Polar mourned, the pup, a femme, Spirit, was dead. hroughout the night her sobs racked down her body, still unknowng of Soul and awaiting his return, but he never came. Finally, when it came to another dawn, Polar left into the forest, off to bury Spirit. Once done, dirt blanketing her paws and muzzle, Polar was off to find her beloved. She did find him, though not alive. As Soul had been running for herbs, a crack of lightning splintered the tree, the tree fell...right as Soul was passing. Polar found Soul crumbled under the tree, his body limp, eyes open but glazed with death. Polar began the tormenting fase of burying another canine, not her pup but now her loved one. Once done, she fled the territory, struggling to throw her memories behind her. Not being able to accomplish her desired task, she made a decision that woukld change her life. She would need to join another pack, and start over. She has forgotten her loved ones, or so she tells herself and anyone who asks, however that is not in the slightest the case. She still struggles with their death, but she manages. On another note, thank you for the excepting meh and for the welcomes! Really nice bio, Polar. I enjoyed reading it since you really put a lot of effort in it. Welcome to the pack! Ya, I like to make all of my biographies with time and effort, simply because I enjoy making them ^^ And thank you for the welcome, River!